How to turn on / off practices in a process? 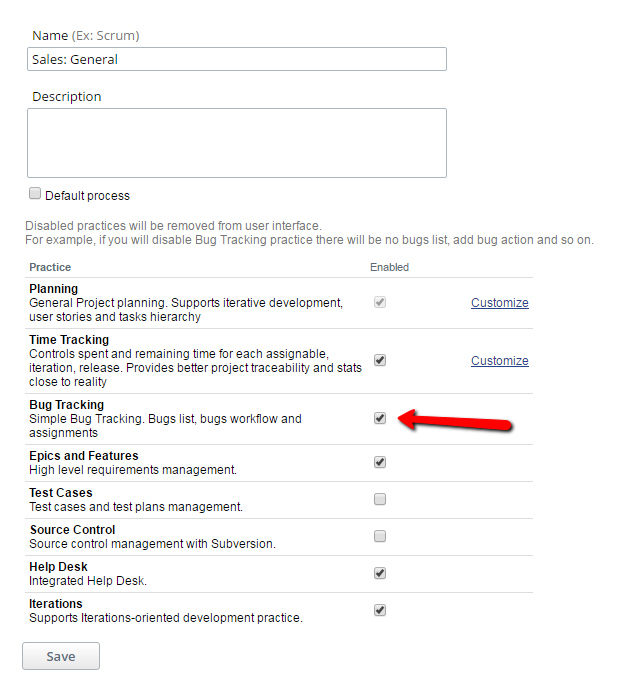 Let’s say, you don’t do bug tracking in your company and would like to turn this functionality off in your process. In this case bugs will not be available in the projects with the changed process any more.